Near shops and schools, you want to make an investment, this old house awaits you, Beautiful potential, currently electric heating, a bathroom with toilet. A balcony on the floor and a terrace. At the back a workshop and garage not closed. Works to be planned, We Consult! Cleguerec Contemporary House 4 Bedrooms Land 800 M². Seglien Sale Farmhouse Spacious 3 bedrooms Ground 1000 M ².
Morbihan is really the Riviera of Brittany, with a warm micro-climate around Vannes, and long sandy beaches and many protected islands. It is a department with a rich historical heritage with the megalithic stonework of Carnac and the legends of King Arthur. A lot of festivals take place every year there, including the Lorient Interceltic Festival. 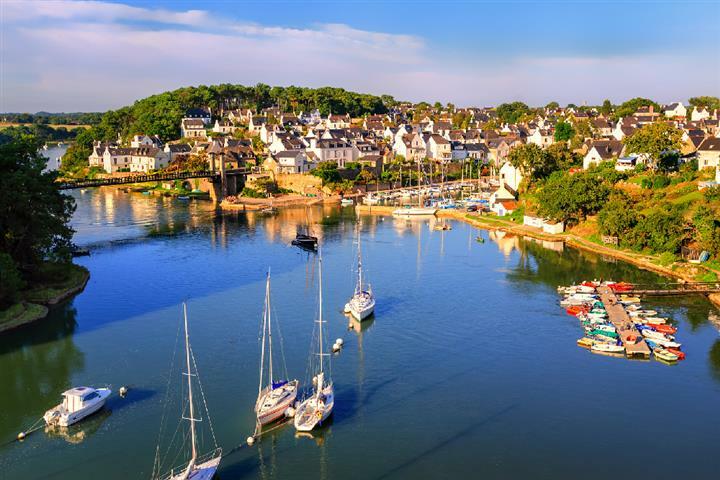 If some houses for sale on the gulf or around the Quiberon peninsular can be pricy, as a general rule, property in Morbihan is affordable. So, do you want to buy an apartment in Vannes, a small house on the Isle of Hoëdic, or an old barn to renovate around the lovely medieval town of Pontivy?